Please permit me to share a short personal observation. Saturday, while driving on the Gulf Freeway South of Houston, I noticed flags flying at half-mast. That wasn’t terribly unusual in today’s endless and instantaneous reporting of catastrophes near and far. 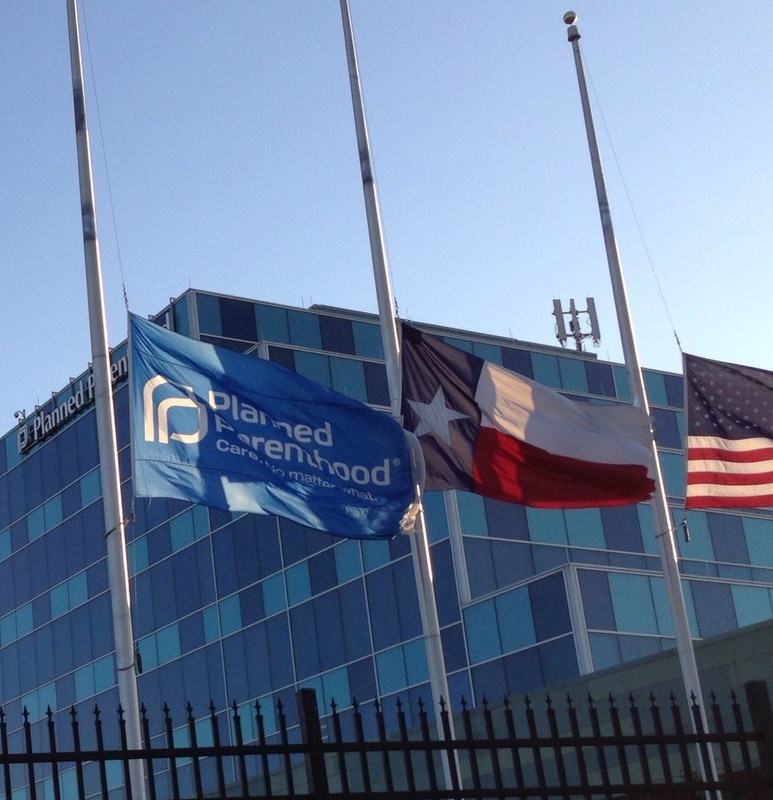 What did strike me as odd was that the place the flags were flying low was the infamous largest-in-the-nation Planned Parenthood® facility. The group that has become one of the very names synonymous with promoting a culture of death was now mourning it. But what death or catastrophe were they mourning? This week has been filled with them. Was it the West, Texas explosion that at this writing has 14 confirmed fatalities and 60 missing? Was it the five deaths thus far (and 25 or more “traumatic amputations”) as a result of the bombs in Boston? Or were they mourning the horrific conditions, traumatic amputations (in utero) and even post-birth abortions (aka homicide) that were apparently commonplace at the Philadelphia “clinic” run by Dr. Kermit Gosnell, currently on trial for murder. We know it was not for the amputations and deaths at their own facility.